I stumbled across this restaurant while I was collecting information for my university assignment, a research about Pandamaran. It was told to me by a local friend that this is one of the best and most famous fried chicken and yu yu ice ("yao yao bing") in town. Situated opposite of SJK (C) Pandamaran B, it has a strikingly large and eye catching signboard. Greeting us upon entry is the "kitchen" where the chickens were fried and yu yu ice was sold. Owner frying the delicious fried chickens (bottom). "Bungkus? Makan? ", asked the worker. The fried chicken arrive hot on our tables. It's so crispy. Yum! Juicy and tender meat. Very similar to the conventional fried chicken you found in "pasar malam" (night market) and fast food chains. Harder flesh on certain parts for those who ordered chicken breast. Nevertheless, this is still among the best for casual snacks or tea time. It was almost dinner, but we couldn't resist to order for more. There also have ayam percik here (malay style roasted chicken). 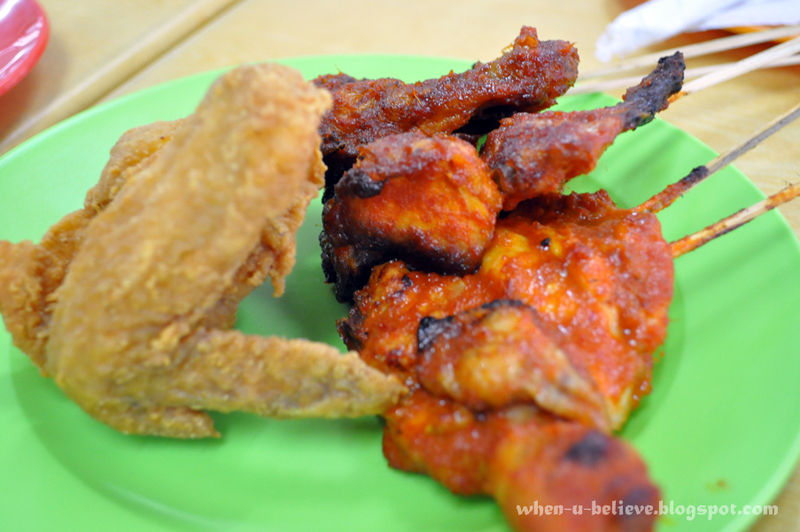 Price depending on which part of the chicken, was around RM 2.50 per piece. Yao Yao Ping was from RM 1.30. 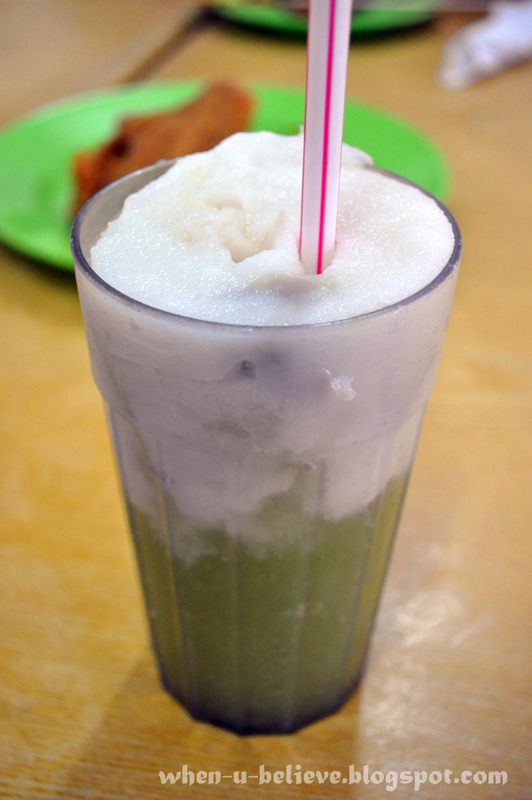 It's like an extremely fine ice blended drink, lighter than ice cream. An instant relive from the hot weather! Ahhhh... .. Reminds me of the days chasing after the uncle in motorcycle who sells this. 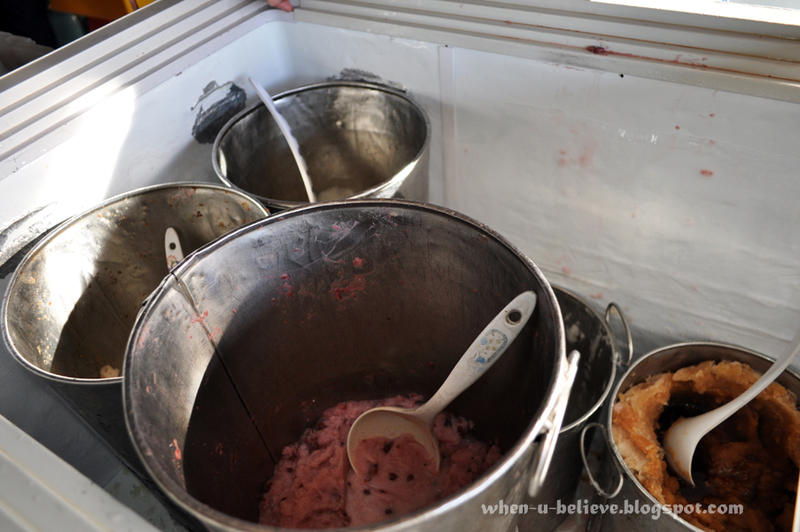 Flavours include Cendol, Red Bean, Sour Plum, Bubur Cha Cha, Mango, Lychee, Watermelon, etc. I tried the bubur cha cha and red bean at first was rather too sweet for me. Prefer mochana of all the flavours. If you love sour taste, try Sour Plum flavour, it's really so, so, so, so sour.. I saw this stall being featured on TV before. 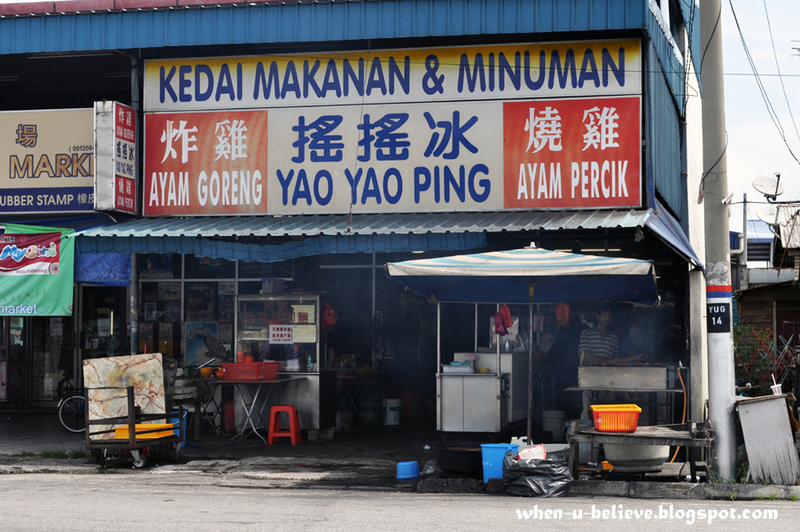 This street is very famous for Pandamaran hawker food. Your photography skills has improved a lot. You have done good research about Pandamaran Village in Klang. Oh, yah. I like mokana juice too. Eating local produce is good for the enviroment.